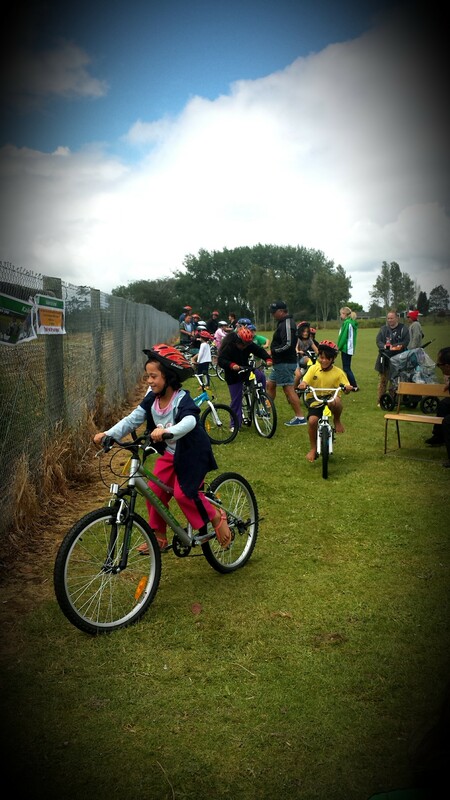 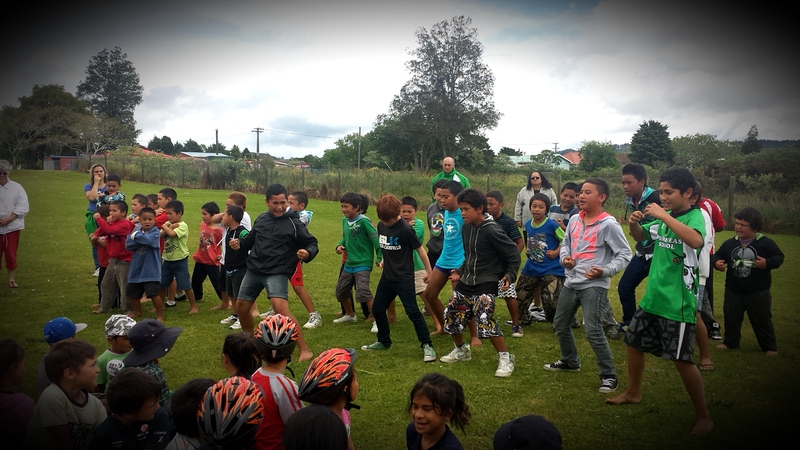 Today Kaikohe East School in beautiful Northland had their official bike track opening. 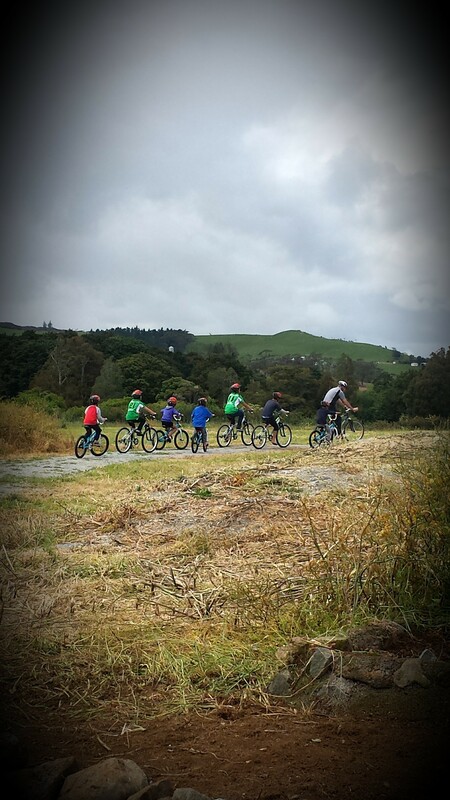 Thanks to a lot of hard work by the school and their staff, as well as the generous support of local funders, the 240 students now have a wonderful fun school bike track to ride their 60 bikes around. 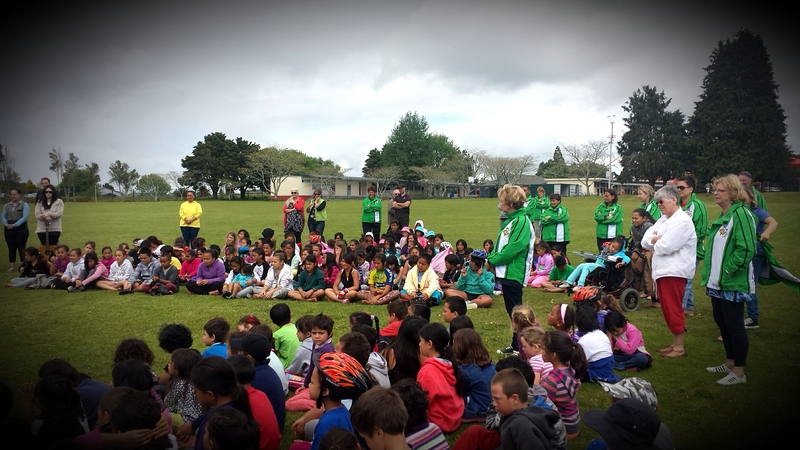 After the ribbon was cut, local resident and former Olympic and Commonwealth cyclist Laurie Byers led the children around the first lap of the track.